POPSUGAR's #Twinning celebrity lookalike tool took off in popularity a couple weeks ago. The tool allows you to upload a selfie, then uses an algorithm to match you with your celebrity "twin." Social media users have been posting the matches to their friends and followers under the hashtag #Twinning (which is also the name of the tool). According to the application, POPSUGAR first started using #TWINNING as a trademark in conjunction with these services in February 2018. The screenshot above is the specimen POPSUGAR submitted with the application to prove it is using the hashtag as a mark. See TMEP 1301.04. Don't let this application fool you into thinking any hashtag can be registered as a trademark. They can't, because "the hash symbol and the wording HASHTAG do not provide any source-indicating function because they merely facilitate categorization and searching within online social media..." TMEP 1202.18. However, hashtags can be registered as trademarks if they function as an identifier of the source of the applicant's goods or services. Id. 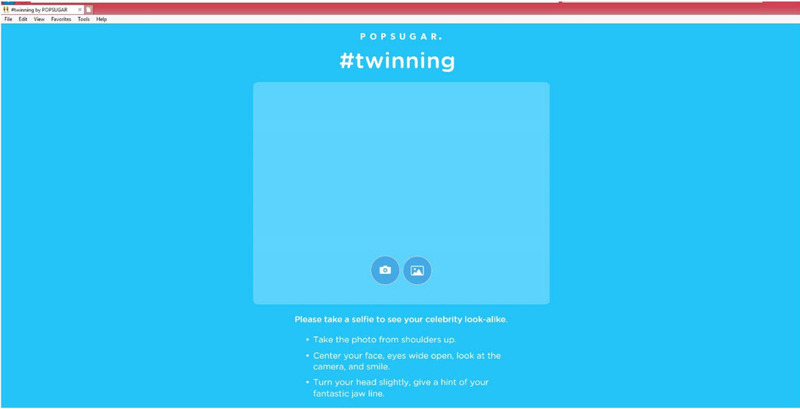 If POPSUGAR only used #Twinning as a hashtag on social media, it would not be able to register the term as a trademark. But because the hashtag is also the name of the software tool, POPSUGAR has a better chance of getting it registered. See TMEP 1202.18(b). A quick search of the U.S. Patent and Trademark Office's database reveals POPSUGAR currently owns 59 active trademark applications or registrations (though this is the first one for #TWINNING). On another note, did you submit your selfie to the #Twinning tool? Before you do, you might want to read POPSUGAR's terms. 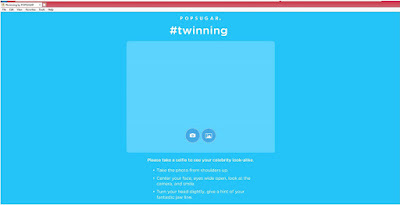 As noted by The Fashion Blog, by uploading your image to the #Twinning tool, you are granting POPSUGAR a very broad license to use your image for nearly any purpose (though such broad licenses aren't uncommon in the social media space).